For lunches I typically eat salads. Not only are they healthy, but they are a great way to used up left overs. I just raid the fridge and pile on a variety of sometimes unusual dinner leftovers. 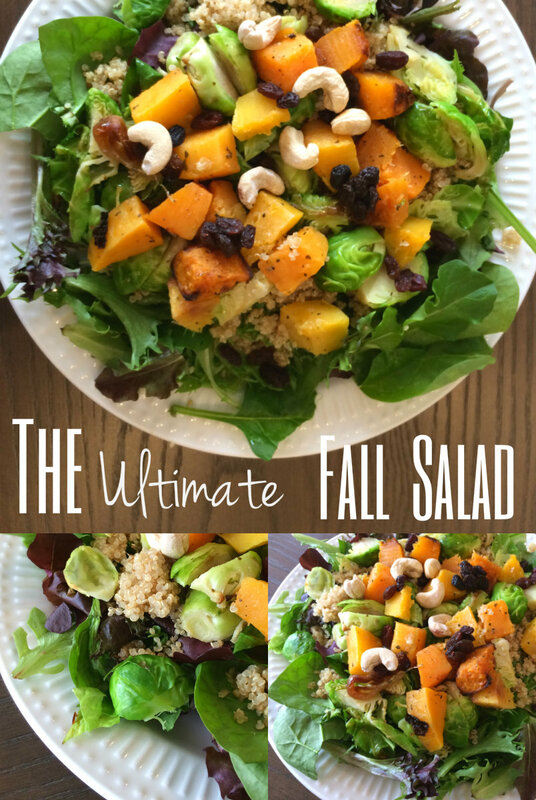 On this particular fall day, I stumbled upon the most incredibly satisfying salad I thin I have ever had! This salad is nutrient packed, filling and so yummy! Not only is it a great salad for lunch, but it would be great to serve dinner guests as well. 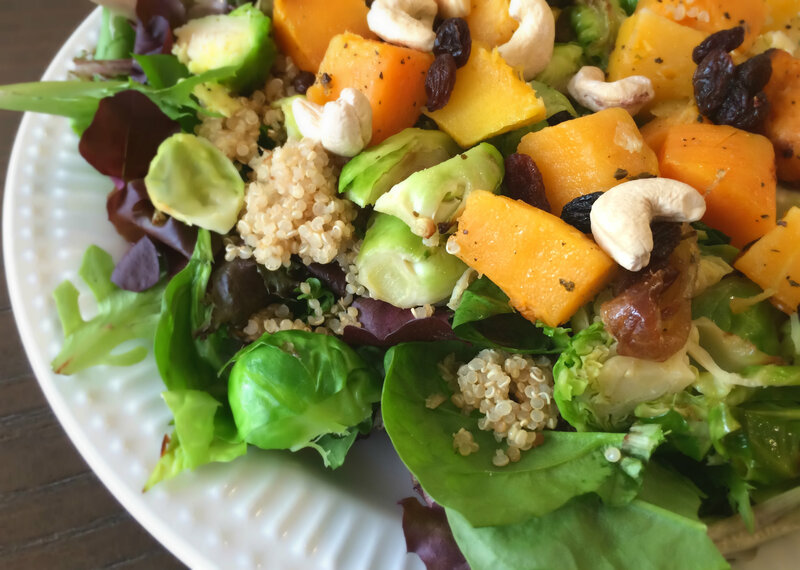 The Ultimate Fall Salad: On a bed of mixed greens and spinach, add cooked quinoa, cubed and roasted squash, roasted brussel sprouts, caramelized onions, a handful of unsalted and roasted cashews and a handful of raisins. Yum! For dressing I just mixed olive oil, balsamic vinegar and honey. Thanks Yvonne! I am not the most amazing cook, but I have found a few great (and easy) dinner recipes I will share soon.